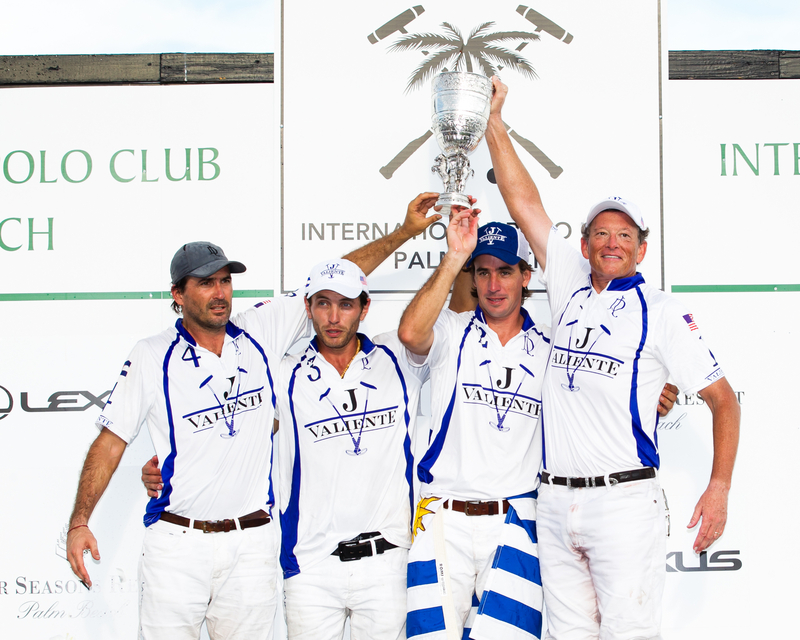 Polito Pieres, Adolfo Cambiaso, and Facundo Pieres. “Some people call it hockey on horseback,” said John Wash, president of the International Polo Club Palm Beach, before reeling off a one-minute refresher on the rules of polo. “So don’t let it complicate you, now.” This past Sunday, over 1,200 spectators flocked in their wide-brimmed hats and polo field finery to Florida’s premier venue, mixing and mingling to the sounds of popping champagne bottles and stampeding hoofs while watching teams Valiente and Orchard Hill compete in the 111th U.S. Open Polo Championship final. 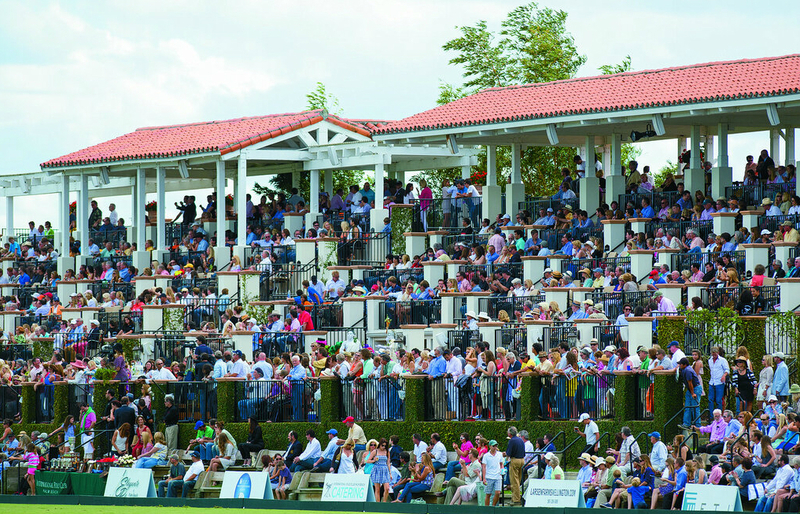 The game, which effectively ends the winter polo season, had all eyes fixated upon the sinewy horses as well as players Adolfo Cambiaso (representing Valiente) and Facundo Pieres (representing team Orchard Hill), two of the greatest professional polo players today. 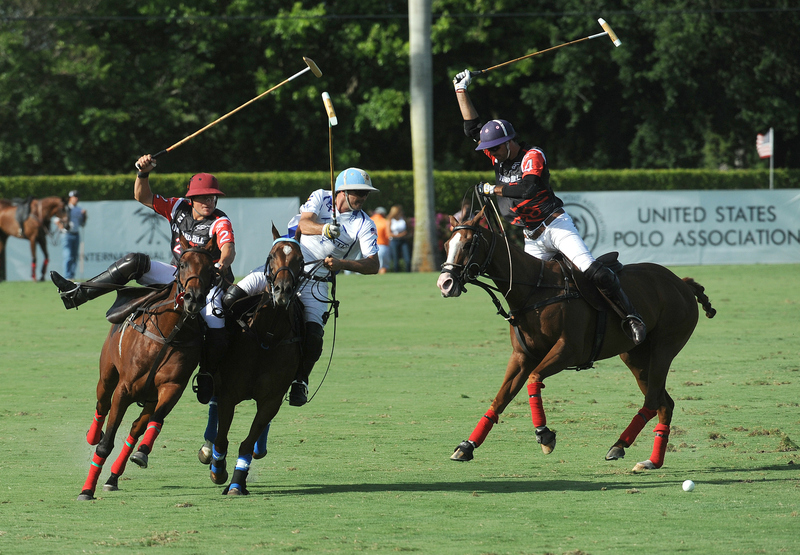 When all six chukkers had been played, Cambiaso’s team edged out Pieres’s with a score of 11 to nine, a sweet victory for Valiente which had faced bitter defeats in the U.S. Open finals the previous two years. 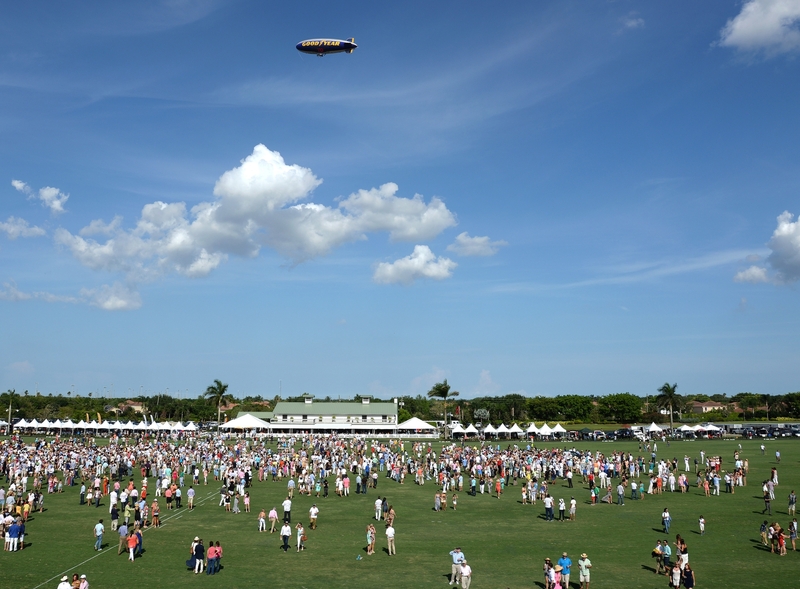 The “Super Bowl of Polo”, as the tournament is often referenced, stays true to the celebratory spirit of that half-time game with its own version: a Veuve Clicquot divet stomp, when attendees take to the field and toast, yet again, to the teams. 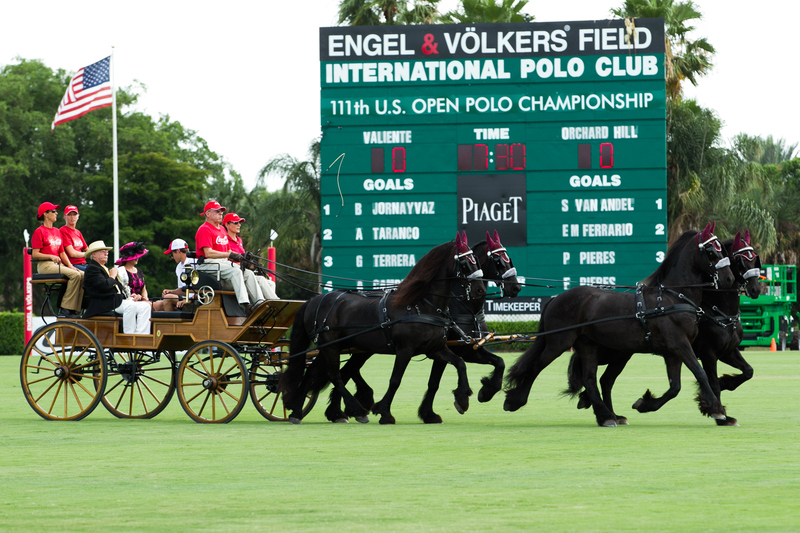 The U.S. Open Polo Championship will air on NBC Sports May 31, 2015.